Artists’ talks and discussion: Henrik Koppen (NO), Ida Grimsgaard (NO), Jolanda Jansen (NL), Kevin Meehan (USA), Shannon Cochrane (CA) and Weronika Lewandowska (PL). PAS final presentation by: AnkaFugazi Biernacka, Benedicte Sundkvist Beldam, Fanny Fermelin, Liza Kerstin Anna Trullsson, Marion Horney, Marte Dahl, Ole Petter Ribe and Paola Lesina. Free soup, tea and coffee!! Artists reflect, react and create a response to the society and time we live in. The art they create is a comment, a warning, a reminder and a mirror to our world. During the festival the artists will reveal their interpretations of society in diverse and unique ways. We will see concerns ranging from the increased contrasts between technology and nature, how information flows through social media, communication, identity issues and the transformation of places and cultures, climate change and political turbulence. 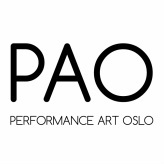 The 5th-anniversary edition of PAO Festival, Oslo´s only yearly international contemporary performance art festival, will once again take place in November this year at ROM. The anniversary was marked with an open call receiving 168 applications from all over the world. During the process of selecting the 12 artists, a variety of issues were uncovered, all with an interconnected common thread which brought together this year’s constellation of artists. Artists are invited to hold short performative presentations of their work and approach to performance. After the talks we open for dialogue with questions and answers between the artists and the public. Artist talks by: Henrik Koppen (NO), Ida Grimsgaard (NO), Jolanda Jansen (NL), Kevin Meehan (USA), Shannon Cochrane (CA) and Weronika Lewandowska (PL). We will show a slide show by festival photographer Antti Ahonen (FI) and three video programmes which explore the various ways artists document and use video in their performance work. Curated by Kirsty Kross (AU), CAN- Concerned Artists Norway (NO) and Per Platou (NO). 15. - 19. November: Performance Art Studies PAS#58 “my body asking your body questions” with Johannes Deimling at KHIO - Oslo Art Academy. 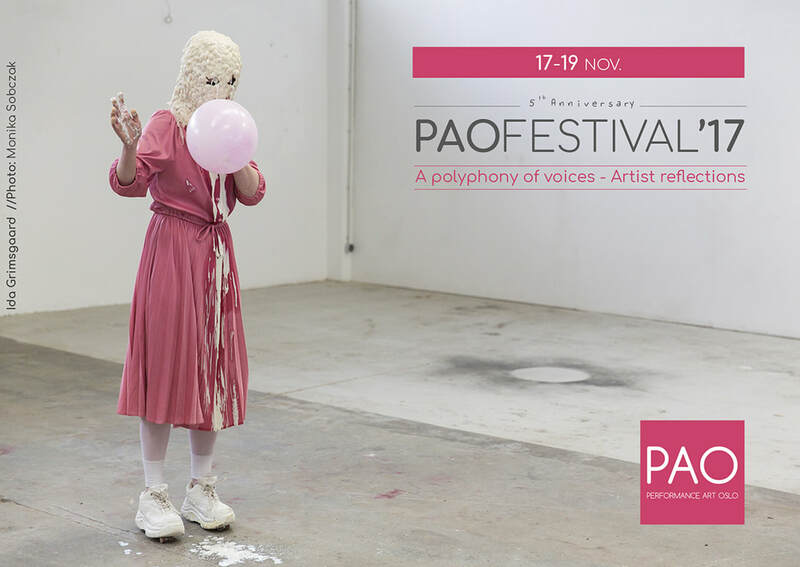 * 17 November: Opening, artist talks and group performance with participants of PAS#58. PAO Festival 2017 is supported by Fritt Ord, Norsk Kulturråd, Kulturetaten / Oslo municipality, NBK Vederlagfondet and Nordic Culture Point / Nordic-Baltic Mobility Programme.